sorry friend, its release is WAY off in the future. They're still working on the character creation. An early access release of the character creator is not far away. A public release of the whole thing - character editor and interaction systems - is far off. Nope, they post the updates here after about a week. 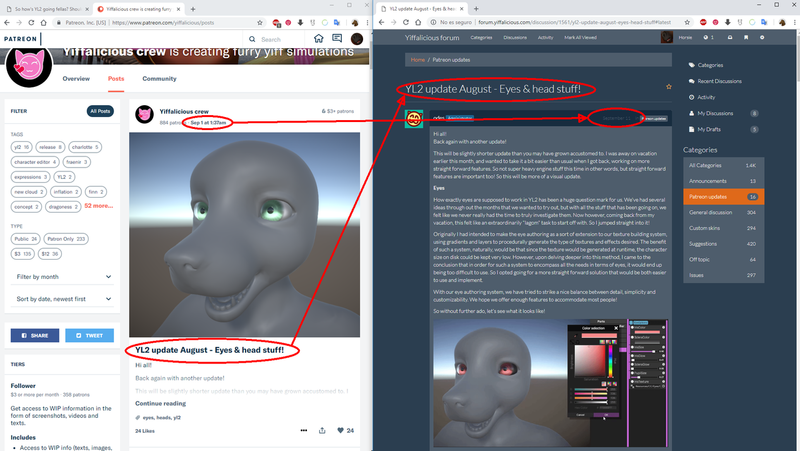 This month the post on Patreon was on the 1st, and it was posted here in the forum on the 11th. This maybe so, but it's a August update in September. Making it a month behind. Nope, the post on the 11th is the exact same one as in Patreon.